I don’t generally go too far afield of the genres I self medicate with and it means I miss out on thousands of truly incredible novels. I think the truly ironic thing about my narrow reading choices is that when I watch Netflix–and this is very rarely done–all I ever watch is action movies, crime shows and true crime shows about murderers and people who get beefed. I have the scariest Joss Whedonesque morbid enjoyment of a good death than most people could even conceive. So it’s rather chuckle-able that when I am reading it’s all hot breathing, skin against skin, and flowers and chocolates. When Khalid Muhammad sent me his message to be part of Word Slinger Project I was thirsty to read his book but unsure as to how I would feel about it… I shouldn’t have been. I should have been worried about how much money I’d be pouring into Amazon looking for another lethal Kamal. 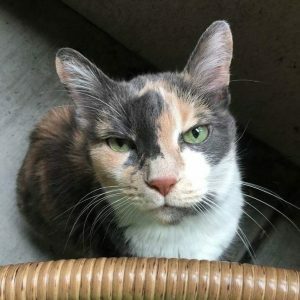 This novel would cross a very broad genre base and if I had to start naming them I would say that this is a Political Thriller, Espionage Suspense, Military Fiction, Action, Adventure, Terrorism Fiction, Crime Fiction, History, Multicultural and I think we can throw in Middle Eastern Fiction on top of that–like a cherry on top. A novel this versatile has a lot to offer to many readers but it also speaks to the complexity of the plotline and the depth of the storytelling. 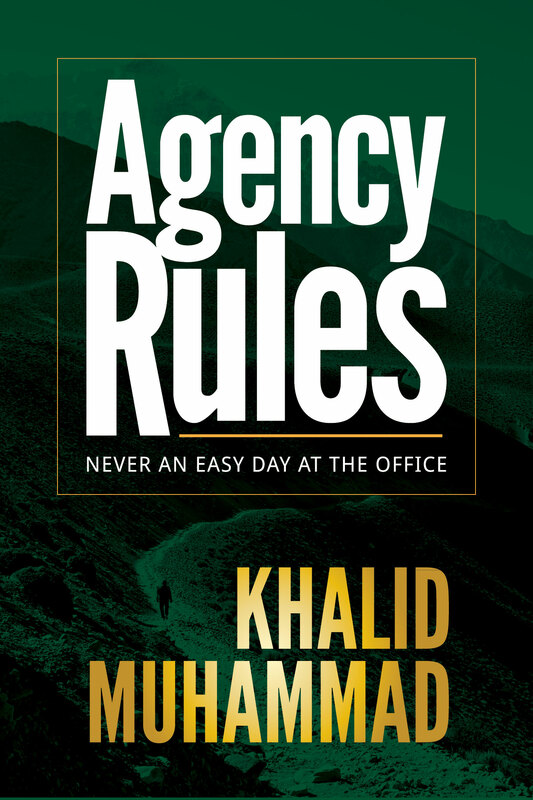 Khalid masterfully builds Agency Rules from the introduction of the politicians in the beginning, intricately weaving threads, to pull the most prominent players together with the most remote events and social maneuvering until a large theater is revealed, complete with villains and dark knights. I don’t quite understand what it is about mystery, suspense and the figures–whether it is in history or fiction–who have the ability to wield great power and yet walk in shadows and fade into obscurity that always seems somewhat compelling, and perhaps even seductive to me. Khalid’s main character, Kamal Khan, begins the story as a very accomplished and decorated sniper. He is chosen to take on a delicate job and with that success he finds he is quickly advanced through ISI training and becomes an intelligence officer. His keen eye, wit and disposition make him particularly good at what he does. The sniper who once did his work from a distance, removed from the life he ended, is now excelling at terror tactics and accomplished at interrogation. He has become the weapon he no longer needs a sniper rifle. As I read the novel, Kamal’s character was not an attractive or particularly appealing hero, he’s a very dark and cruel man–yet there is something incredibly alluring about the idea of someone having such power. Kamal is nothing if not the iron fist that determines life and death. For all intents and purposes he has become an Angel of Death–if I may apply a non-Muslim ideal to it and for some reason in my head that ability to choose who lives and who dies is an very artful quality. As I said, there is a very complex story within the pages of Agency Rules and it is not just Kamal’s gathering of evidence. The Ministry squabbles throughout the novel while trying to create figureheads, alliances and downfalls within their own political hierarchy. The Pakistani Military is trying to keep ahead of the Jihadis and sift through paramilitary interference, and stay out of politics and civil affairs. And the mujahideen are pulling all their alliances together to fight against the corruption of the West in their struggle for Allah. No one is who they seem and nothing is ever as it appears. Khalid is currently working on the second book in this series and I can’t wait for it. I dislike cliffhangers and this one was particularly teeth grinding. I really don’t have a book to recommend for this but I would say that this would be a great read for those who like any of the genres mentioned above and my father-in-law. Wow! He just got a shout out!